Blend the milk and protein until there are no clumps. Then transfer to a separate bowl and stir in chia seeds. Set aside in fridge. in a separate small bowl mix 1 tsp of cornstarch at a time with water (enough just to dissolve the cornstarch), stir so it forms a slight paste, and mix that into the sauce, stirring constantly. 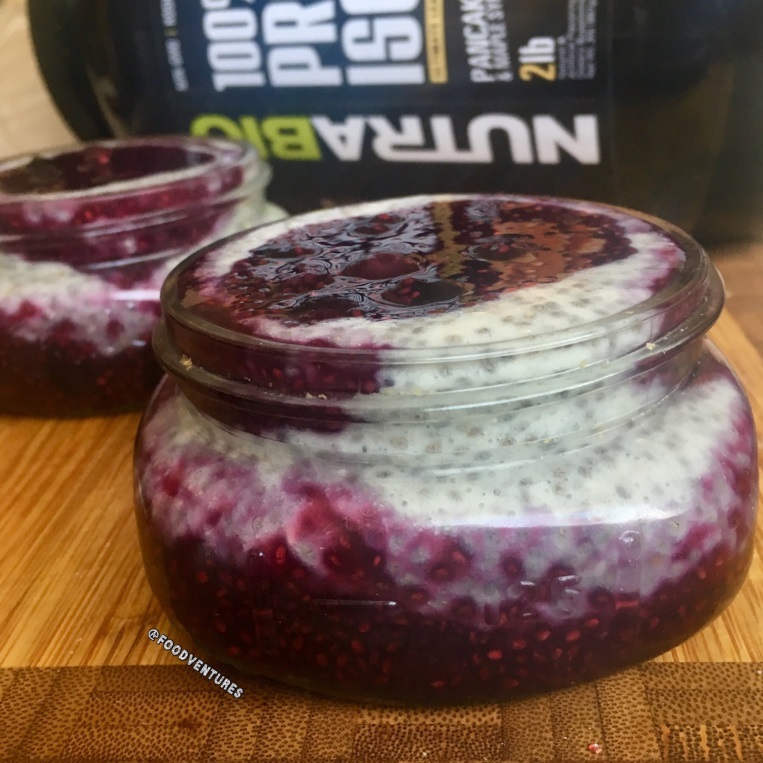 Once the syrup is thick and the chia pudding mixture has set, layer the pudding and sauce mixtures into a small jar and enjoy!